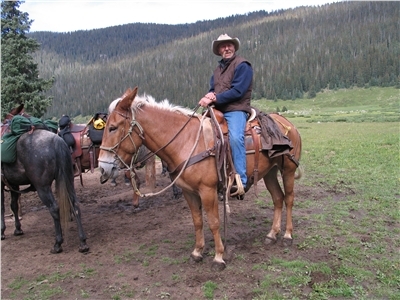 Over the Hill Outfitters offers everything horseback from two hour rides on their 1200 acre private quarter horse ranch to dinner rides to 5 day horseback expeditions in the heart of the Weminuche Wilderness of the San Juan National Forest. All rides have a weight limit of 240 pounds and are for ages 6 and older. 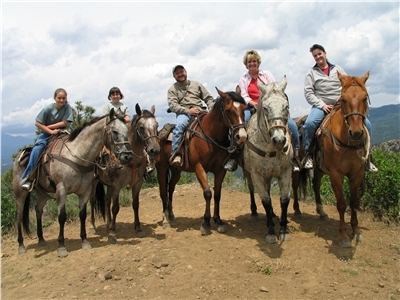 We are a small, family run business dedicated to providing you with the best horseback adventure you can have at any price. Our base of operations is located just 15 minutes from downtown Durango at the Palmer Quarter Horse Ranch on the Florida River, where we also raise and sell working Quarter Horses and mules. We pride ourselves on having the finest horses anywhere. What this means to you is a horseback experience that is unequaled in both reliability and pleasure, and one that you will never forget!Open May 1- Sept 10. 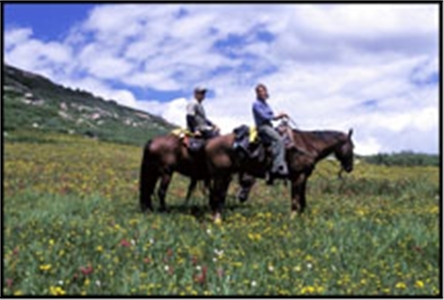 Our 1-hour (10am) horseback ride is for those with less time who still want to experience the magnificent forest land of Durango. There are incredible views of the Palmer Quarter Horse ranch as we crest the ridge that is composed of the geologic layers making up the northern end of the San Juan Basin. There are over 20 miles of trails to ride on the 1200 acre Palmer Quarter Horse Ranch, and we are constantly working to develop more. Our rides are not flat! We ride through valleys, up mountains, over ridges and all of our rides end up in the riparian area of the Florida River, which passes through the ranch. If the river is not too high, we ride across the Florida, allowing the horses to drink and cool off. Bring your reservation confirmation number with you when you arrive at the ranch at 9:45 am. 15th Street from central Durango. 2) Locate intersection of Florida Road and CR 250. There is an Exxon station at the intersection. 3) Drive approximately 4 miles from this intersection on Florida Road. 4) Immediately following a fire station on your right. 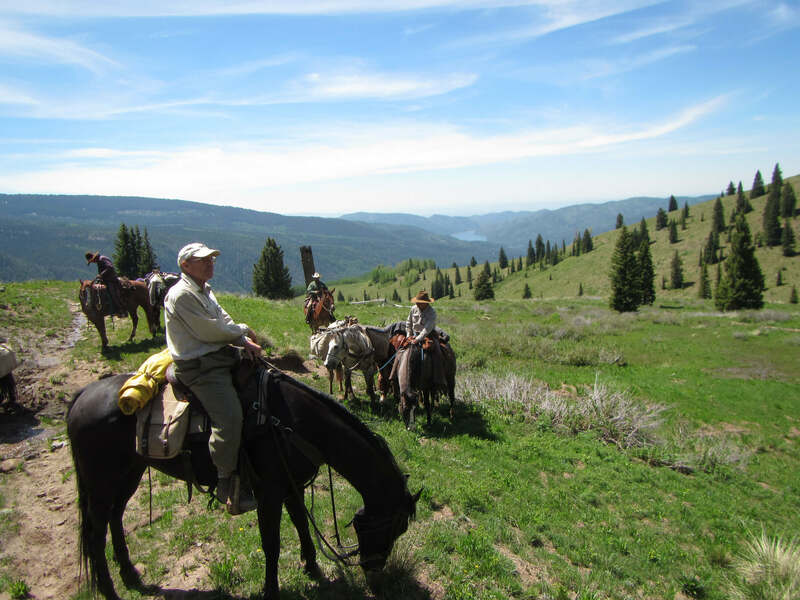 Our 1-hour (2pm) horseback ride is for those with less time who still want to experience the magnificent forest land of Durango. There are incredible views of the Palmer Quarter Horse ranch as we crest the ridge that is composed of the geologic layers making up the northern end of the San Juan Basin. 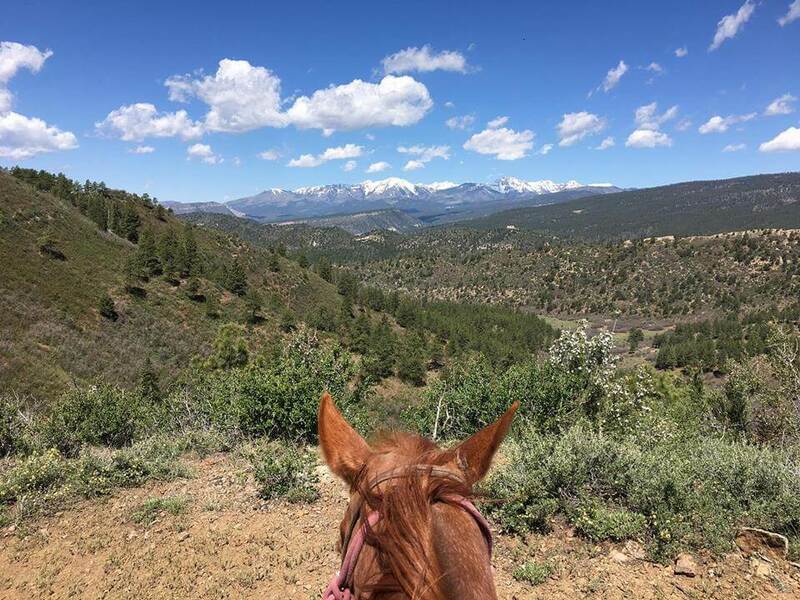 If youâ€™re looking for the ultimate western experience, join us on our 2-hour horseback ride which travels through the Gambel Oak and Ponderosa Pine foothills and (if the weather permits) climaxes with a 360 degree view at 8135 feet. From there youâ€™ll appreciate a gorgeous view of the Durango area and the La Plata Mountains. From Durango, head north on Main Ave to E 15th St / Florida Rd. Turn RIGHT onto E 15TH ST and bear left as the road turns to FLORIDA RD. At the traffic circle, continue straight to stay on Florida Rd which becomes CR-240 and continue on 240 for approximately 6 miles. Turn RIGHT onto CR-234 and continue on approximately 1.8 mi to Over the Hill Outfitters - 4140 County Road 234. Cancellation | Please make all cancellations 24 hours prior to trip or else you will be responsible for full payment.